Why is Treating Tooth Decay in Baby Teeth Important? Baby teeth are space savers – They hold space while the upper and lower jaw grow and ensure that the adult teeth have adequate space to erupt properly and in correct alignment with each other. If baby teeth are allowed to decay and are lost too quickly, other baby teeth can shift into the now empty space. This results in the impaction and misalignment of the adult teeth underneath. Plus, this can translate into overly complicated orthodontic treatment to correct problems that would not have been needed if the baby teeth were not lost prematurely. Infection and pain – untreated decay will progress to the nerve. There the bacteria will cause an infection inside the tooth and cause an abscess. 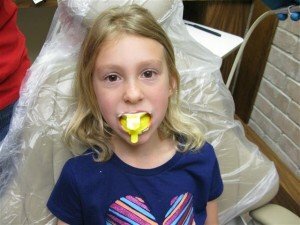 This is very painful for your child and results in complicated dental treatment to fix! Malformed permanent teeth – decay and infection, as described above, does not stop at baby teeth. Unchecked baby teeth decay can have a direct impact on the developing adult teeth underneath. This can result in malformed or stained permanent teeth. Another huge concern is what this early baby teeth decay can imply. The leading cause of decay is poor oral hygiene at home. Parents need to supervise and carefully watch their children brush and floss. 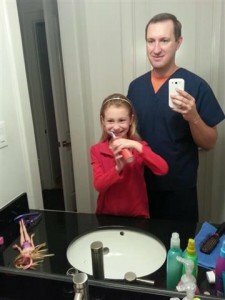 Dr. Nugent still brushes his six year old daughter’s teeth three times a day. Cavities arise from an excessive sugar intake, poor brushing, lack of flossing and inadequate dental hygiene. These negative habits can follow your child into adulthood and lead to recurring and lifelong issues with their adult teeth. 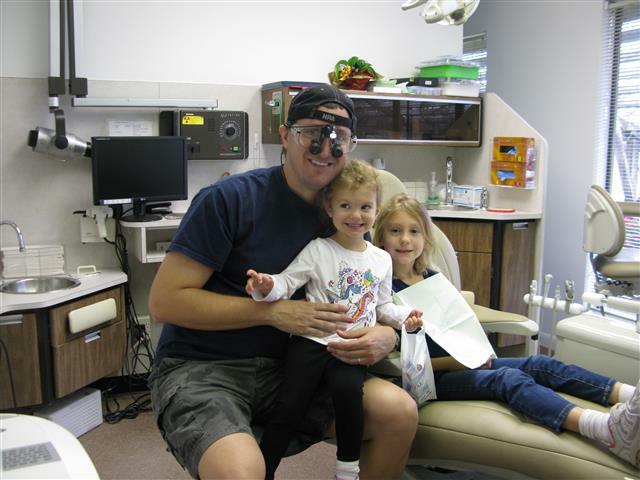 Parents are responsible for their children’s dental health. Limit sugar intake and spend the extra time insuring your child is brushing and flossing properly. If your child is under eight years of age, consider brushing and flossing your child’s teeth and then letting your child go back and brush and floss on their own. Visit our amazing kid friendly dental office at 3421 Burke Rd Ste A, Pasadena, Texas 77504 or call us at 713-941-8261.